What were the key themes from the World Congress on Public Health? Presentations from the World Congress of Public Health collectively highlighted the relevance of underlying social determinants of health which shape health outcomes. With increasing rates of non-communicable diseases globally, increased funding to preventative approaches is critical as well as economically beneficial in reducing the costs associated with the burdens of ill health. Both political and commercial determinants of health were a key focus of numerous keynote presentations, which set the scene for an exciting congress. Public health is inherently political. Although this has always been true, it is more important than ever in the current climate that those working in health promotion understand the political determinants of health. This theme was reinforced throughout the conference by keynote speakers such as Martin McKee, Ilona Kickbusch and Michael Moore. During the opening ceremony the President of Uruguay, Tabare Vazquez, also brought attention to the commercial determinants of health when he spoke of the “industrially produced epidemic” of cancer that is caused by tobacco smoking. He also spoke about Uruguay’s comprehensive measures to stand up to the “abuse of economic power” seen by the tobacco industry. This theme continued with discussion on how tobacco, alcohol, fast food and gambling are shaping poor health outcomes. There was a strong call for governments to implement sound policies that hold corporations accountable for their actions and for public health practitioners to unite and have a ‘strong voice’ on these matters. Public health is inherently political. The congress showcased the relevance of the social determinants across populations. Differences in socioeconomic status, poverty, access to healthcare and education, all translate into inequities in health outcomes across population groups. We were transported from Australia where one speaker highlighted racism and social exclusion as significant barriers for adolescent migrants’ health, to the Philippines where another speaker passionately discussed the issue of repeated teenage pregnancies which are being driven by systemic barriers to contraception and access to reproductive health education. Professor Evelyne De Leeuw chaired a fantastic session on hotspots of health disadvantage. Speakers discussed how these pockets of disadvantage were influenced by the geopolitical dimensions of choice that often make the healthy choice the more difficult choice (e.g. access to green spaces, density of fast food outlets and safe areas for physical activity). The Sustainable Development Goals and the need to use these as a guide in our practice of health promotion. Goal 13 – Taking urgent action to combat climate change – was especially highlighted as critical in the future of public health. The advances in technology and how this can be used to shape and improve our careers in health promotion. Violence against women as a public health priority and the work being done to reduce stigma on this issue. 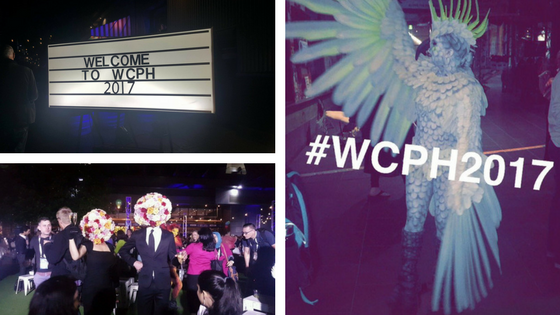 What were the biggest challenges and opportunities identified during the World Congress on Public Health? There is opportunity for public health practitioners to mobilise communities to advocate for fairer, more equitable societies by calling for action on the social, commercial and political determinants of health; it is our responsibility to do so. However, challenges lie in the lack of adequate training and support for health promotion students and practitioners to do so, along with a lack in overall funding. We need to look at how we can transform university training programs as well as shape professional development activities to support public health advocacy, for example how can we support professionals to engage in political discourse and action? And how can we integrate this advocacy work into our current every day work? Beyond our own work, we can also support critical health literacy in the wider population in a way that people feel empowered to contribute to have their issues heard. This will in turn strengthen our advocacy messages. Michael Moore made a strong call to students and young professionals to take leadership and action, stating that there is no need to “fit the mould” as the world is ready for young professionals who are open to change. This message was echoed by Bettina Borisch who encouraged young professionals to be themselves, be curious and bold, and to engage in political activity. Although the message is out and there is strong enthusiasm by students and young professionals along with experienced leaders in the field, it appears that the ‘how’ is a continuing issue for young professionals as was highlighted in a recap of common issues identified by students and young professionals during the 4th International Student Meet on Public Health which included: imposter syndrome, lack of student support, how to become empowered, how to utilise and sustain enthusiasm, and how to execute political activity. 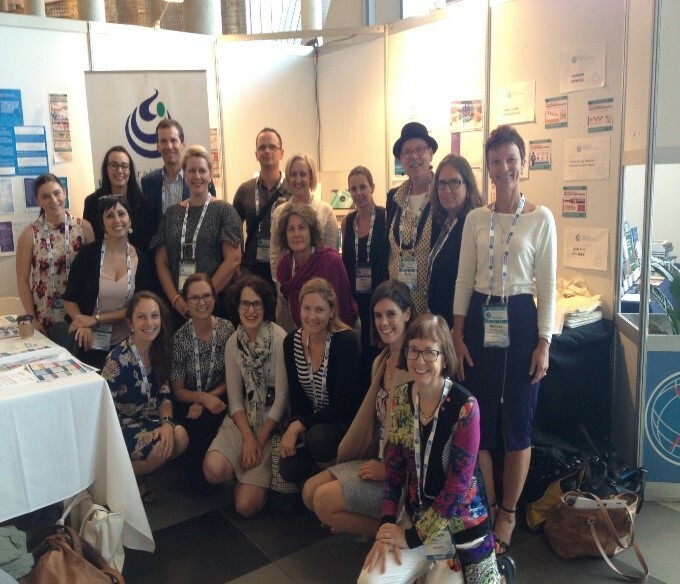 There was a great representation of the AHPA membership across the country. This was made obvious for those of us who visited and oversaw the AHPA stall which was often used by AHPA members as a meeting point and networking point. 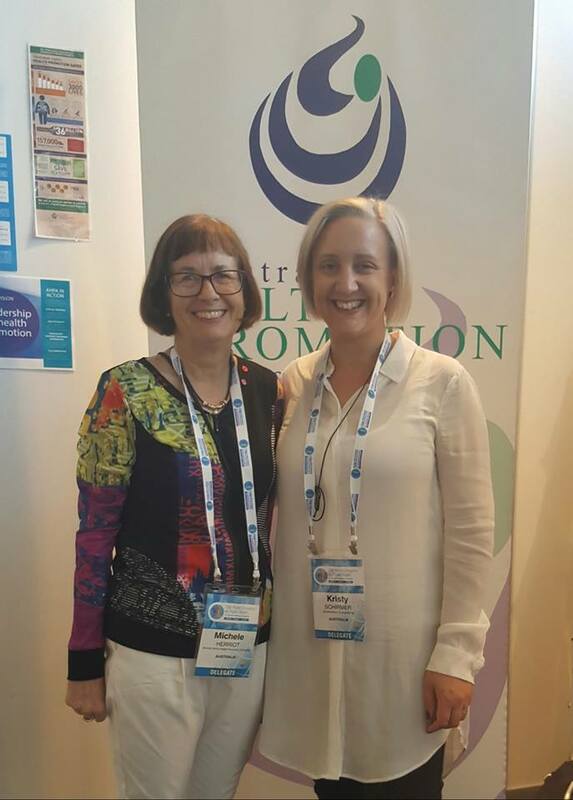 The AHPA stall was diligently coordinated by a recipient of an AHPA SA scholarship to attend the congress, Michele Herriot, who reported a large interest by attendees on the AHPA professional registration process and competencies (see here for some FAQs. Michele also oversaw the AHPA Twitter account (@AHPA_AU) which received a tremendous amount of engagement over the week. 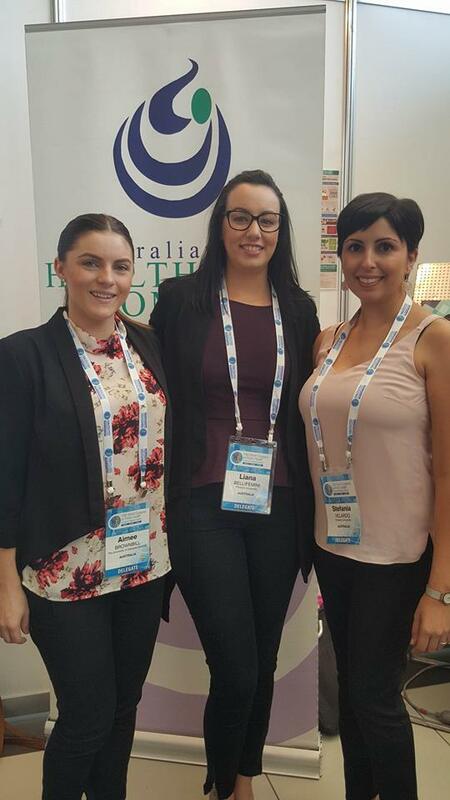 Our other scholarship recipient, Kristy Schirmer, was also highly active at the congress, volunteering on the AHPA stall, chairing a session on Digital Technology and Social Media, chairing the first face-to-face meeting for the Australian Public Health Consultants Network, and working with us at AHPA SA Branch to compile our very first blog post! The Congress also provided the opportunity to finally get the new and recent branch presidents and vice presidents together for a face-to-face meeting. This was extremely useful for the branches who shared challenges, ways or working and plans for the future. There was a strong agreement between branches of wanting to work together collaboratively to maximise our impact as a national association. Aimee: I don’t believe anyone who attended would not list the Congress Street Party as one of the highlights, it was absolutely amazing! There was a different cuisine to try in every corner, street performers and dancing into the night all located in a beautiful outdoor setting located along the water front. The only issue with the congress was that there were so many session and only one of me. Stefania: I agree, the congress party was amazing! I also enjoyed meeting other AHPA members and members of the different branch executive committees. I loved getting involved in the real-time discussions about the conference! Great to also follow events which you are not able to attend in person. Now being able to follow leaders in my field is fantastic and a great way to stay involved, keep abreast of current research/political news/events, and to speak up as an advocate. Unfortunately, having the World Leadership dialogues concurrent with oral presentations often meant a poor turn out to the smaller oral sessions, so this is a key area for improvement, in my opinion. 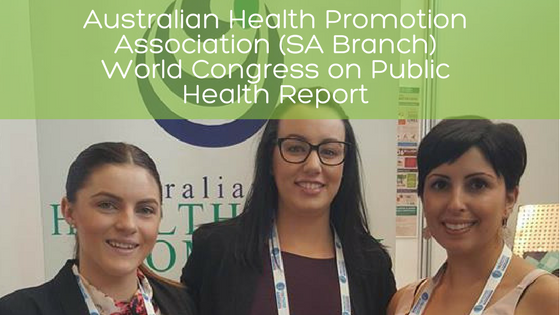 Liana: Four major highlights come to mind – Firstly, meeting and networking with young like-minded professionals in the health promotion and public health space from all around the world. Secondly, hearing from such esteemed influencers in the health promotion and public health space such as Michael Moore, Prof. Bettina Borish, Dr. Sandro Demaio and Dr. Bronywn King… the list just goes on! Thirdly, having the opportunity to attend a variety of sessions from health promotion and social determinants themed sessions to hands-on workshops to World Leadership dialogues. Lastly, the women’s health themed excursion, where I had the opportunity to chat with leaders in Victorian Women’s Health Programs. Stefania: As a lecturer in health promotion and education, I am working to build undergraduate students’ understanding of the political and commercial determinants of health, something that has been lacking in our curriculum to date. I am working towards designing and developing assessment tasks that promote critical inquiry and development of public health advocacy competencies. The Congress has also prompted me to think about potential synergies between different disciplines, for example double degrees/majors in health promotion and political science/business/media studies etc. Aimee: I feel very driven after a strong call to students and young professionals to take leadership and action. AHPA SA have a great track record for engaging and supporting students and young professionals in leadership positions (my own experience with the branch is a case in point!). A key action that I am taking in response to the congress is reaching out to students and young professionals from other organisations internationally to learn what is being done by their organisation to support and foster engagement and leadership for other student and young professionals so that we can share lessons learnt. Liana: I have gained some practical information that I am using to help guide my work as a university tutor and utilise in assignments for my Masters Degree in Public Health. My suggestion for others is to jump on the opportunity to go to conferences like this, it’s such a great opportunity to learn new things, network and chat to like-minded people! My suggestion for others is to jump on the opportunity to go to conferences like this, it’s such a great opportunity to learn new things, network and chat to like-minded people! AHPA SA would like to congratulate and thank the Congress convenor Helen Keleher and all of those involved in pulling together what was truly an amazing conference.